They left the much cited genre metalcore behind and found their own (musical) ways years ago, and now they're coming to Dinkelsbühl for the very first time. We're talking about the one and only BULLET FOR MY VALENTINE! With the last few albums the Welsh have made it hard to categorize them, which speaks for their musical versatlity. Yet, despìte all their musical evolution, BULLET FOR MY VALENTINE have always managed not to neglect what has been their number one trademark since the beginning: melodies. No matter how harsh the riffstorms of the VALENTINE's compositions rage, they will never be short of fantastic melodies. 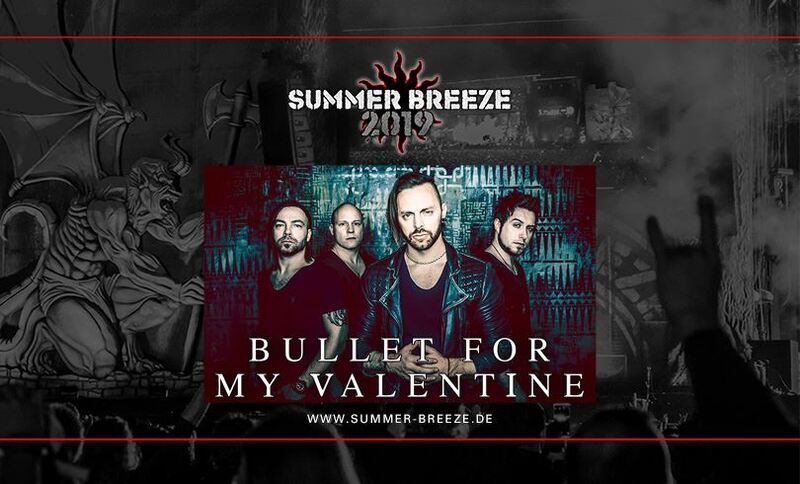 What this means for Dinkelsbühl is: a band for young and old, boy and girl – so all omens for an absolute triumph for BULLET FOR MY VALENTINE at SUMMER BREEZE are very good! Finally!